I heard you’re thinking about scheduling a family photo session soon. Did you know photos aren’t just for social media? Gasp! In this digital age, it’s hard to fathom a hard copy of anything. I know you want those high-res digitals to publish on social so your great-aunt and friends far away can see your gorgeous family. However, I want to tell you why printing your photos is important and still relevant here in 2018. Tangible heirlooms. Printing your photos is important because you’re preserving memories with something tangible to hand-down for generations. Have you ever looked deeply into an old photograph? Sure, you probably know who’s in the photo, but look at the surroundings. Check out the environment. Take time to imagine the sounds and smells around when the photo was taken. Can you do it? When we stop and think about our ancestors, we can see ourselves and that provides an anchor for our roots. Life goes by too fast. Don’t blink…and I’m not talking about during your session. Life goes SO FAST. Do you realize that every day you wake up in the morning, your kids are one day closer to being grown and gone (cue the ugly cry)? Yes, your life may be chaotic day-to-day, but you will certainly miss this. Let’s make sure you can look back with fond appreciation and so much pride in your heart. This, my friends, is why printing your photos is important. Today’s technology isn’t forever. Newsflash: today’s technology will become obsolete before we’re even fully used to it. Remember 8-tracks, floppy discs, cassettes, DVDs, and CDs? And, USBs are hanging on for dear life right now! Not only are these things all easily lost, they all have a shelf-life. Prints are timeless. Printed albums, canvases, and prints are never going out of style. These printed items have adorned the walls of homes for generations. This is why printing your photos is important. So, friend, have I convinced you? 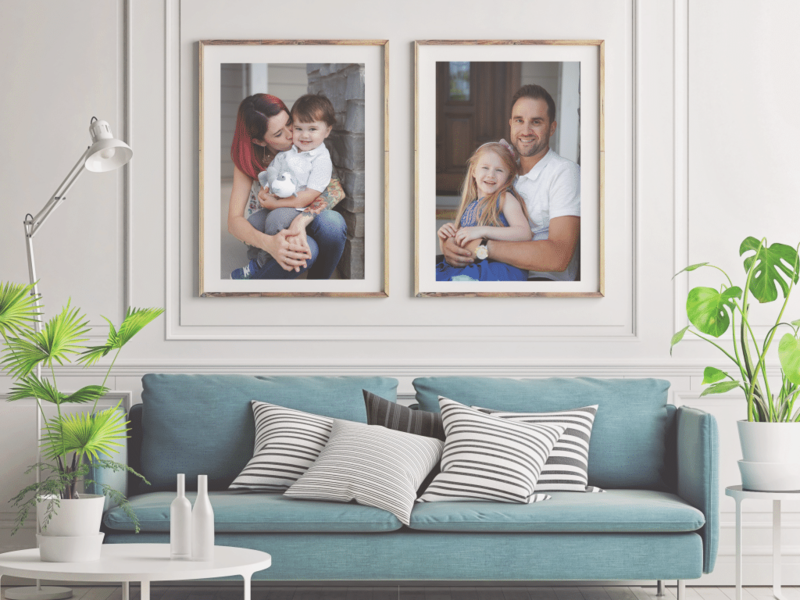 Printing your photos is about so much more than just having some 5x7s for the grandparents or a filler for holiday cards. Printing your photos is important because it’s tangible evidence of your legacy. I’m sure you agree. I’d love to chat with you about your own photo session and the printed products that I love most. Ready to have that chat? Send me a message.